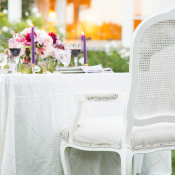 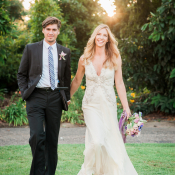 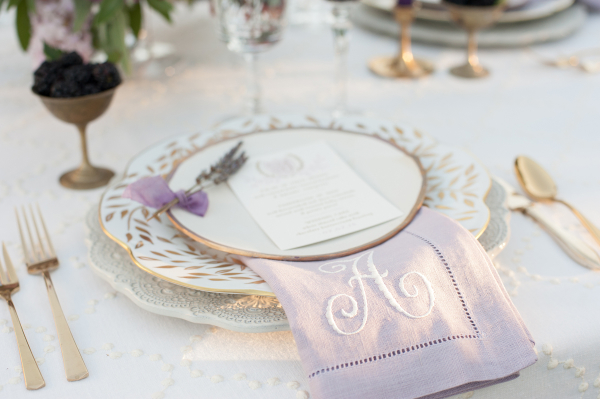 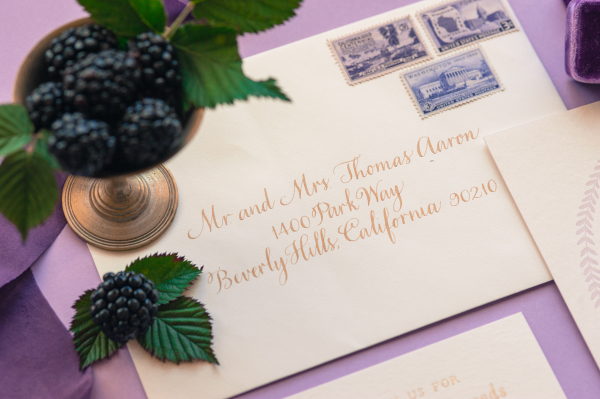 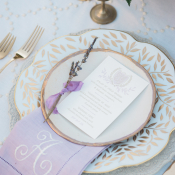 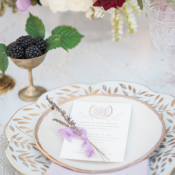 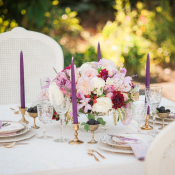 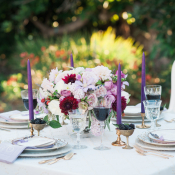 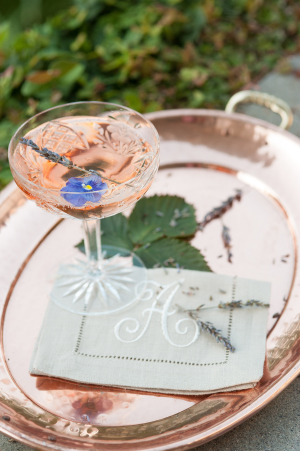 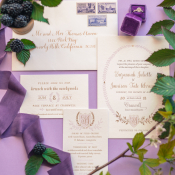 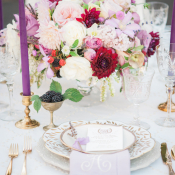 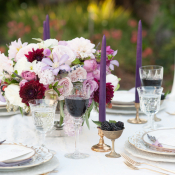 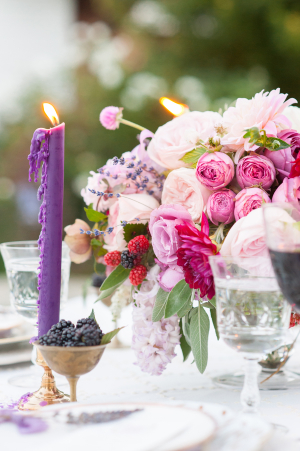 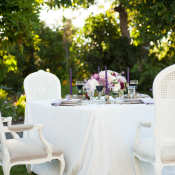 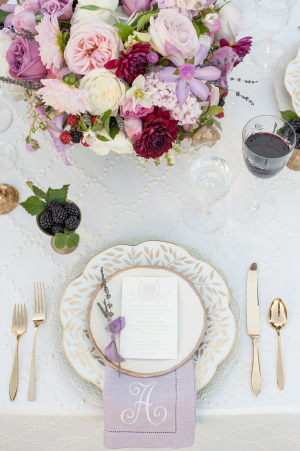 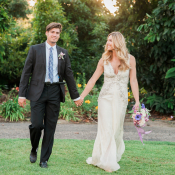 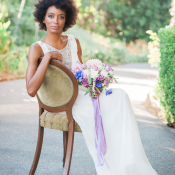 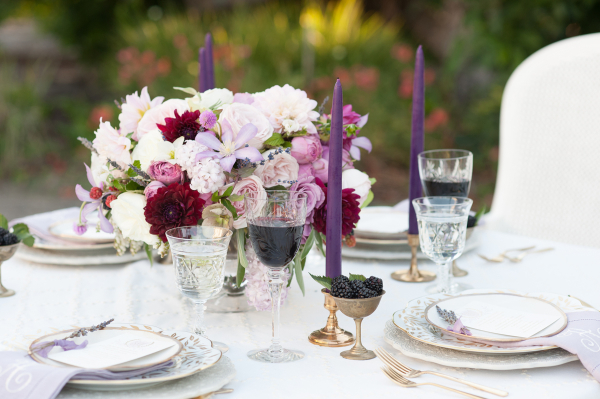 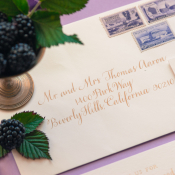 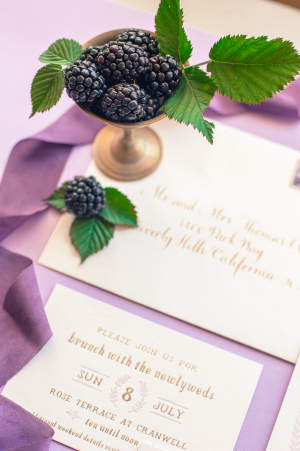 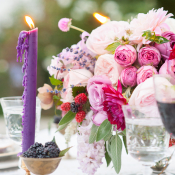 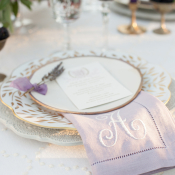 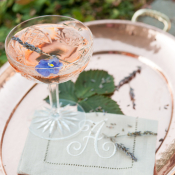 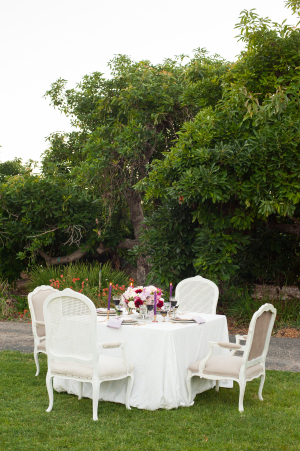 We couldn’t think of a more lovely way to begin the week than with this classic and romantic shoot from one of our favorites, Amy Nichols Special Events, inspired by the Southern California lavender fields. 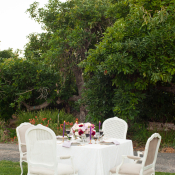 What better way to celebrate the opening of her Southern California location than to select a venue near and dear to her heart: her parents’ avocado and lemon ranch in Santa Paula! 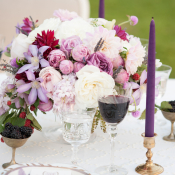 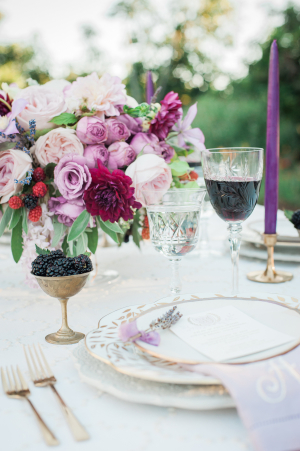 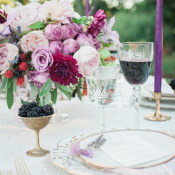 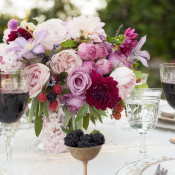 The full spectrum of purple from lavender to boysenberry (with foraged berries of course) graced the table from My Lovely Events. 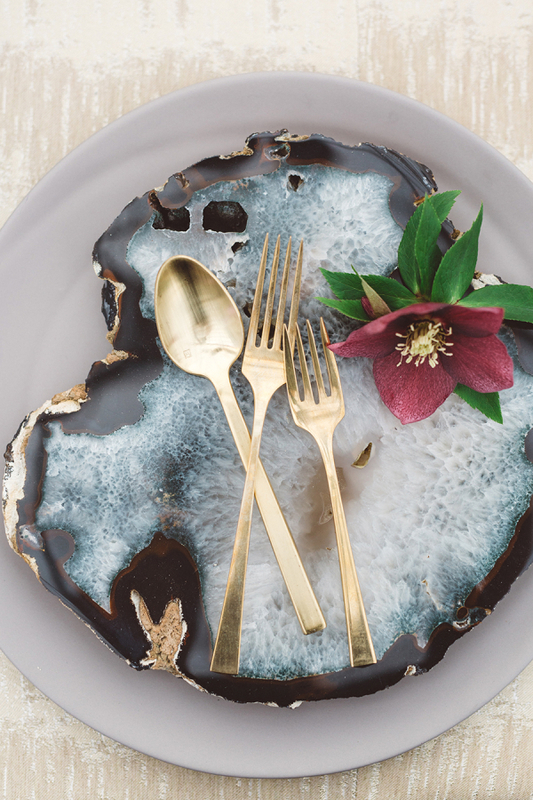 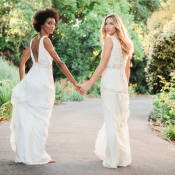 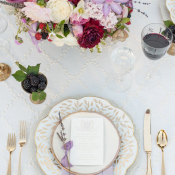 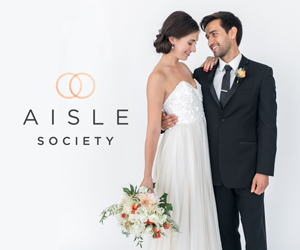 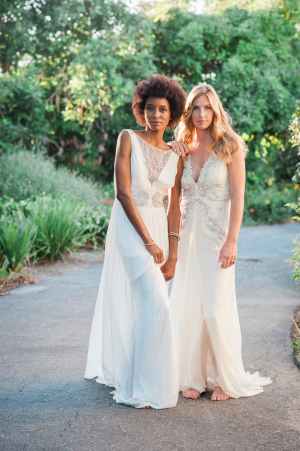 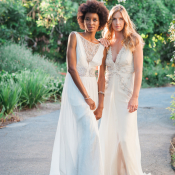 Gilded accents such as flatware from Otis + Pearl Vintage Rentals and a stationery suite from Smock (with golden calligraphy by Anne Robin Calligraphy) as well as Alice Temperley gowns added a healthy dose of glamour. 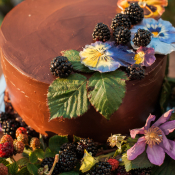 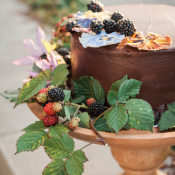 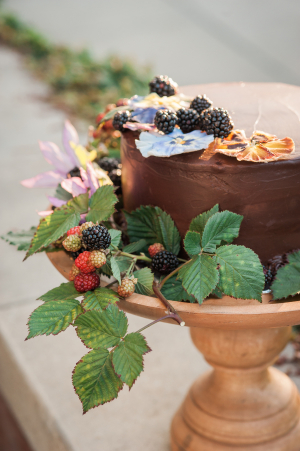 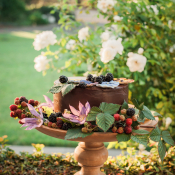 Not a detail was left unfinished, from the monogrammed napkins by The Loveliest Co. to the petite chocolate cake from Marie Shannon Bakery with edible flowers from Gourmet Sweet Botanicals! 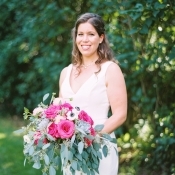 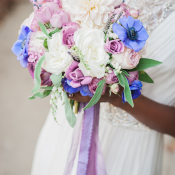 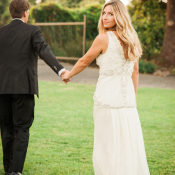 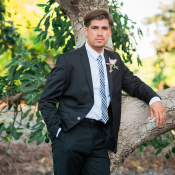 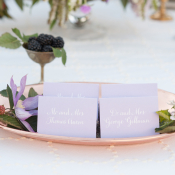 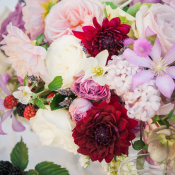 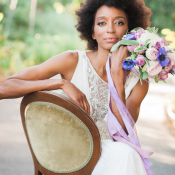 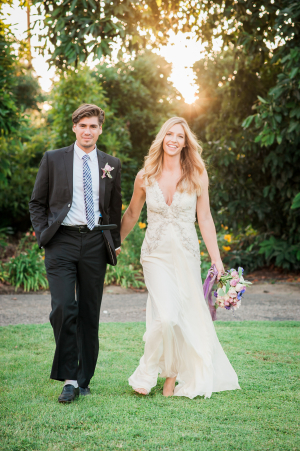 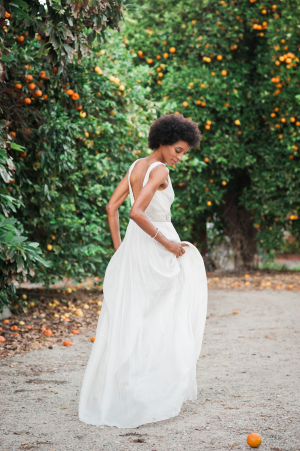 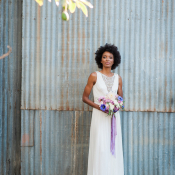 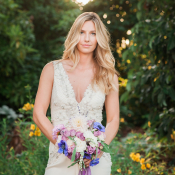 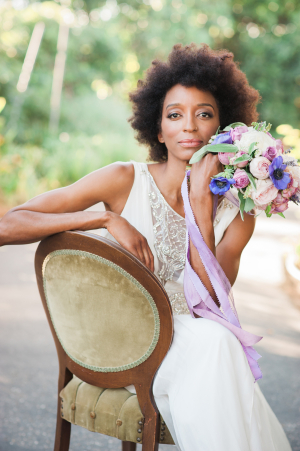 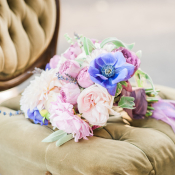 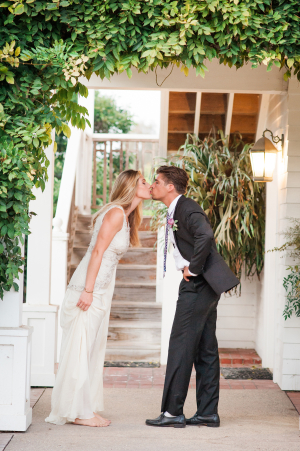 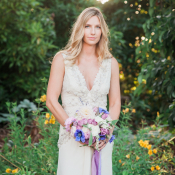 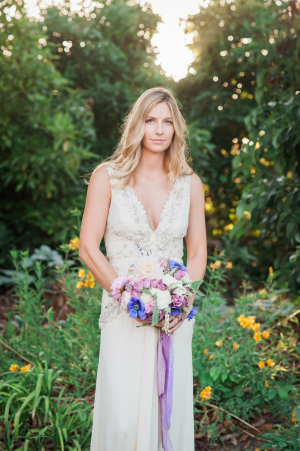 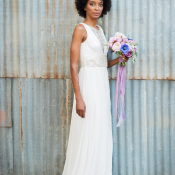 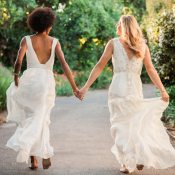 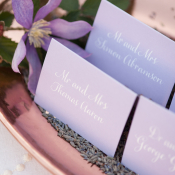 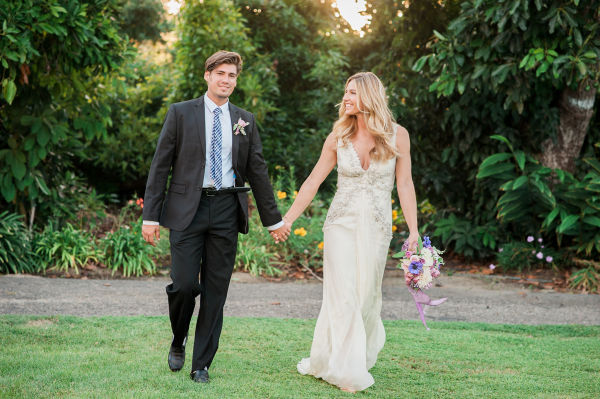 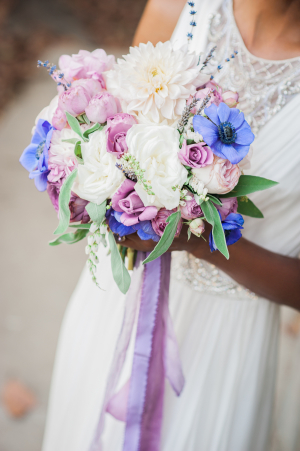 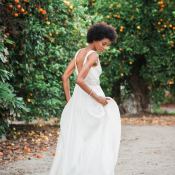 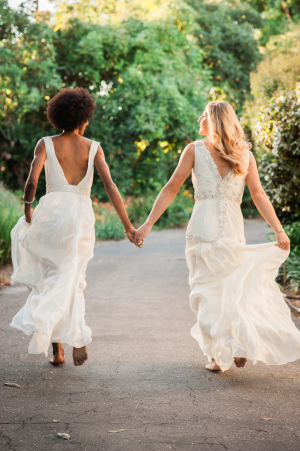 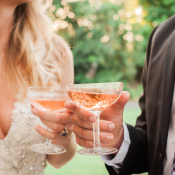 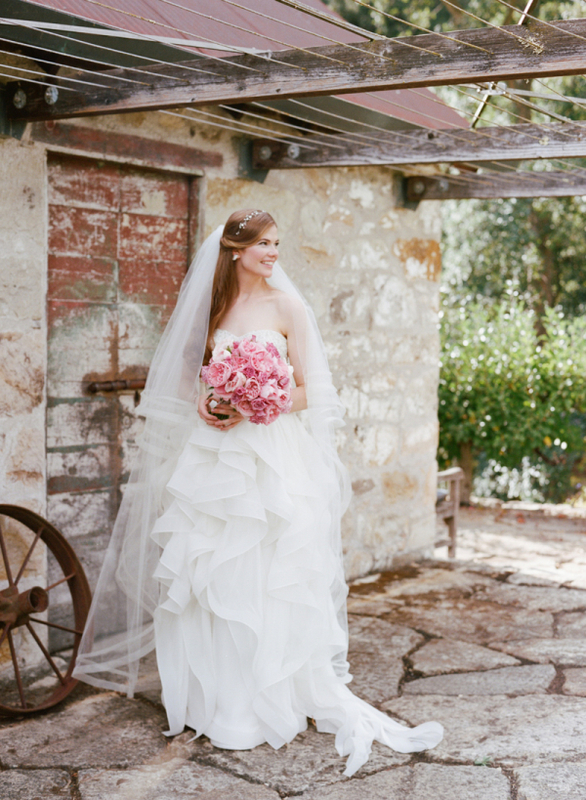 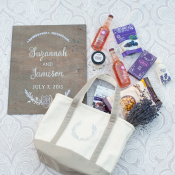 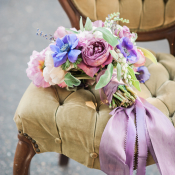 We know you are going to love each of the lovely images from Gertrude & Mabel Photography! 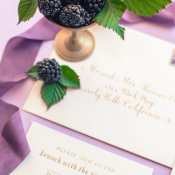 Photography – Gertrude & Mabel Photography | Event Design and Planning – Amy Nichols Special Events | Floral and Prop Styling – Kelly Oshiro with flowers from Florabundance | Stationery – Smock | Calligraphy – Anne Robin Calligraphy | Day-of Assistance – Smith + James Events | Hair and Makeup – Janet Villa | Furniture Rentals – My Lovely Events | China, Copper Trays, and Cake Stand – the Ark | Flatware and Gold Trays – Otis + Pearl Vintage Rentals | Linens – La Tavola Fine Linen | Candles – Creative Candles | Napkins and Gift Bag – The Loveliest Co. | Ribbon – Silk & Willow | Gowns – Alice Temperley | Ring Box – The Mrs. 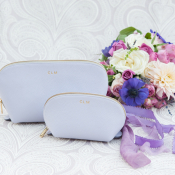 Box | Clutches – Cuyana | Desserts – Marie Shannon Bakery | Edible Flowers – Gourmet Sweet Botanicals | Signage – Be Curious Designs | Tote – Lands End | Hat Box – Trousseau & Co.